->Want to pull off a suave and classic morning wear look? 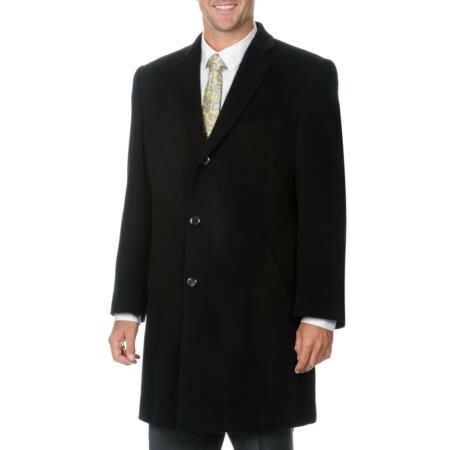 Shop this black men’s overcoat that comes crafted with great attention to detail. ->Carefully cut and crafted from a cashmere blend material, whether it’s down pouring or drizzling, or snowy outside, this topcoat will help you make a stunning style statement. ->The relaxed cut makes it easy to dress comfortably without compromising style. Stay warm and in style wearing this coat. Shop now!